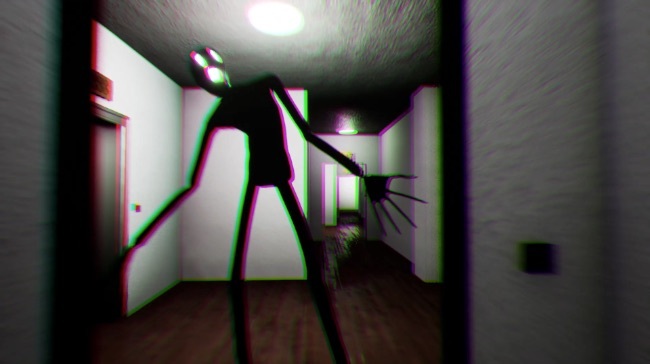 PARANOID is a tense and trippy first person psychological horror adventure where you’ll pay for your mistakes no matter how much you try and run away from them. In PARANOID you take on the role of a man named Michael who finds himself trapped in a nightmarish apartment block. You’re not alone and you’re definitely not welcome where you are so you need to find some means of escape and seek safety in your little house. The current build of PARANOID features the first chapter of the game and takes around ten minutes to play through. The narrative is deliberately cryptic, but you can piece together pieces of information from audio and visual clues. You clearly deserve to be trapped inside this bizarre nightmare due to something you’ve done in your past. You can run, but it’s likely that the only way to escape will be to atone for your sins rather than run away from them. The environmental textures could do with a little work, but other than that PARANOID is a very accomplished little first person horror game.It’s got an intriguing narrative, a great sense of atmosphere, some good scares and a very trippy ending. Highly recommended.